This is a customer onboarding strategy software ppt powerpoint presentation infographics skills cpb. This is a eleven stage process. 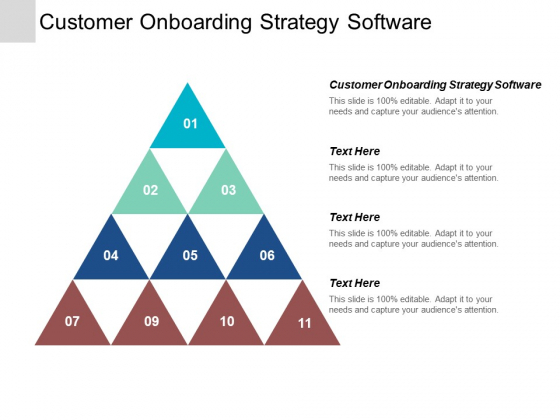 The stages in this process are customer onboarding strategy software. Generate lively action with our Customer Onboarding Strategy Software Ppt Powerpoint Presentation Infographics Skills Cpb. Ensure the event becomes immensely enjoyable. 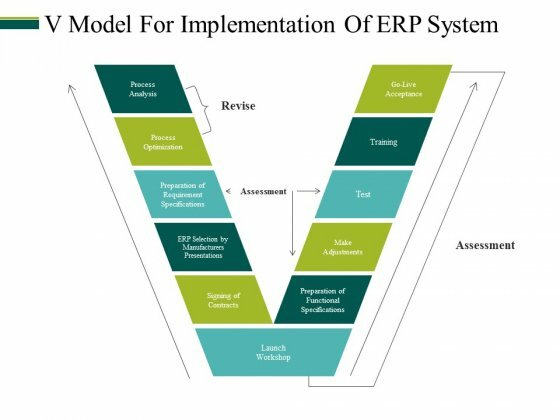 This is a v model for implementation of erp system ppt powerpoint presentation icon backgrounds. This is a eleven stage process. The stages in this process are process analysis, process optimization, preparation of requirement specifications, erp selection by manufacturers presentations, signing of contracts. Bet on your assets coming good for you. Sign the cheque with our V Model For Implementation Of Erp System Ppt PowerPoint Presentation Icon Backgrounds. 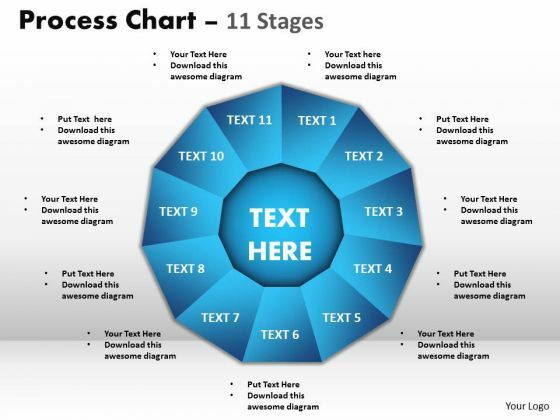 This is a v model for implementation of erp system ppt powerpoint presentation infographics infographics. This is a eleven stage process. The stages in this process are process analysis, process optimization, preparation of requirement specifications, erp selection by manufacturers presentation, signing of contracts. The loyal feel fulfilled due to our V Model For Implementation Of Erp System Ppt PowerPoint Presentation Infographics Infographics. They feel their devotion has been acknowledged. 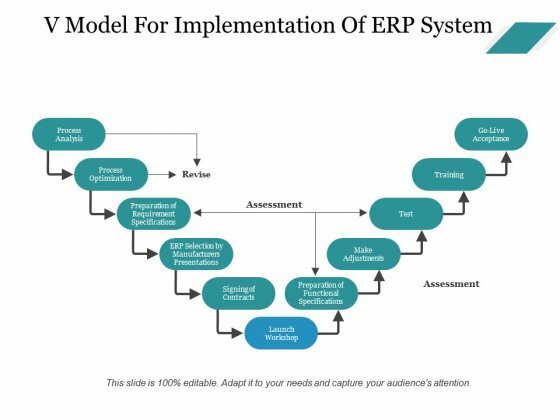 This is a v model for implementation of erp system ppt powerpoint presentation professional topics. This is a eleven stage process. 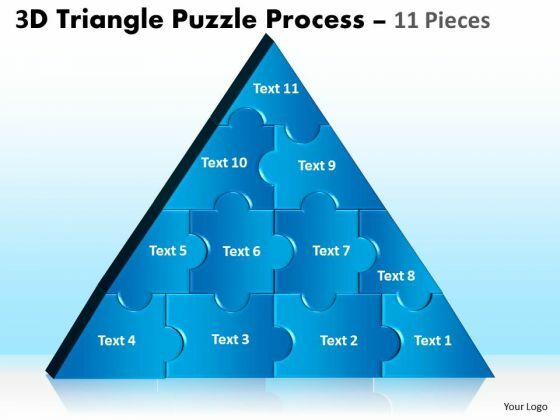 The stages in this process are process analysis, process optimization, training, test, assessment. Jack up the level of bonhomie with our V Model For Implementation Of Erp System Ppt PowerPoint Presentation Professional Topics. Greatly increase the degree of friendship.